Trying to determine the most environmentally friendly autos is like comparing apples and oranges. Highly efficient internal combustion engines are difficult to measure against hybrids. 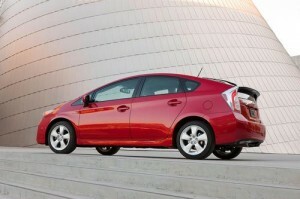 Yet traditional car engines that get great mileage add to the picture of vehicles that are getting greener. Given their wide diversity, we present these 14 vehicles as a collection of very clean 2013 cars, rather than ranking them according to their greenness. We looked at a number of sources to determine this year’s greenest cars, from the Kelley Blue Book to automotive trade magazines to environmental organizations. These 14 cars came up again and again as vehicles that were excellent at either stretching fuel or reducing one’s carbon footprint. Some automakers have contributed more than others to greening our highways. Toyota made five of the environmentally friendly vehicles on this list. Honda made four, and Ford made three (if you count Lincoln as part of Ford). Other major automakers, including GM and Nissan, had only one vehicle make the list. This is relatively new territory for automakers, so we can expect to see the list change considerably in the future, especially given the coming CAFÉ standards.